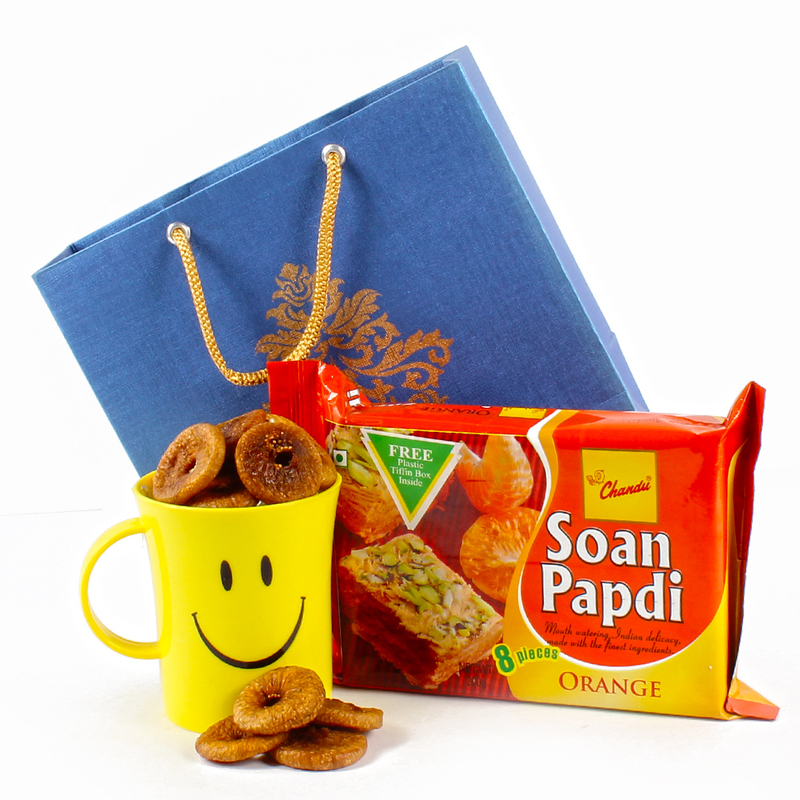 Product Consists : Orange Flavour Soan Papdi (Weight : 200 gms) along with Dry Anjeer (Weight : 100 gms) in Smiley Mug and Pack of Roli Chawal all this nicely arranged in a Paper Gift Bag. 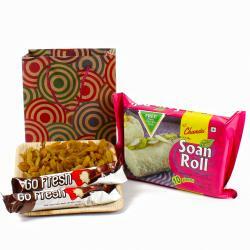 This is an amazing Bhai Dooj gift hamper, meant to make your brothers heart filled with joy and bliss. It has a Delicious Orange Flavour Soan Papdi with Smiley Mug fill containing Dry Fig to please one and all at home. 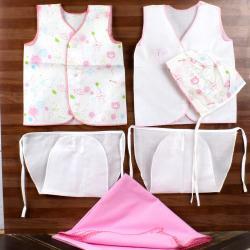 The gift hamper also includes a magnificently arranged in a paper gift bag container to make those celebrations of Bhai Dooj even more fascinating. So, what are you waiting for. 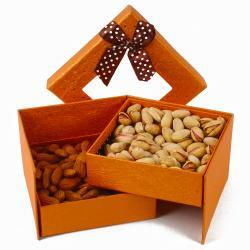 Order for this hamper right away. Product contains : Heart wining delicious Orange Flavour Soan Papdi (Weight : 200 gms) along with Dry Anjeer (Weight : 100 gms) in Smiley Mug and Pack of Roli Chawal all this nicely arranged in a Paper Gift Bag.